Over the weekend, Governor Jerry Brown signed into law several bills which will have a dramatic impact on sexual harassment claims. While Brown vetoed three prominent bills involving sexual harassment, those he signed offer California employees the greatest protections from sexual harassment in the United States. Confidentiality Agreements: Employers cannot use a confidentiality agreement to guard “factual information” about a claim of sexual harassment, sexual discrimination or retaliation for reporting sexual harassment or discrimination. However, the law still permits employers to require confidentiality of the amount of a settlement, as opposed to the underlying allegations of harassment. In coming years, keep your eyes open for expansion of this bill to confidentiality agreements dealing with other forms of discrimination of harassment, like race, age, religion, or sexual orientation. Enter into a non-disparagement agreement that would forbid an employee from disclosing information about such a claim. The bill does not apply to departing employees who release such claims in exchange for severance. Made it much easier for employees to litigate sexual harassment cases, expressly stating that sexual harassment claims are “rarely appropriate” for summary judgment, thereby increasing the chance of a trial. Reaffirmed a core principle of sexual harassment law: employees need not show that sexual harassment has tangibly affected their productivity, rather only that it has made their job more difficult to perform. Rejected a nearly 10-year-old decision from Judge Alex Kozinski – himself forced to resign from the Ninth Circuit from sexual harassment allegations – in which he found that a single act of sexual assault was not severe enough to state a harassment claim. Training: Sexual harassment training for supervisors is now required for employers with 5 or more employees, expanding the threshold from its previous mandate for employers with 50 or more employees. Brown also vetoed several bills dealing with sexual harassment claims, the most notable of which would have prohibited agreements requiring arbitration of those claims. In vetoing the bill, Brown noted that it “plainly violates federal law.” He also vetoed a bill which would have expanded the statute of limitation for filing a charge of sexual harassment from one year to three years and another bill which would have required employers to keep records of harassment complaints for five years after an employee’s departure. These bills, which take effect on January 1, 2019, offer the most sweeping protections on sexual harassment to employees in the country. With the growth of the #MeToo movement and the recent focus on sexual assault from the Kavanaugh hearings at the U.S. Senate Judiciary Committee, employers should expect to see an uptick in harassment-related activity. 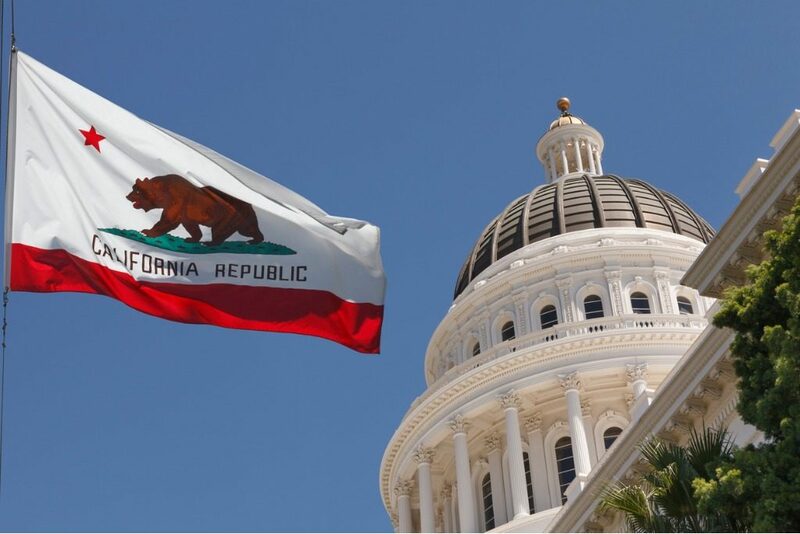 Brown also signed a bill requiring publicly-held corporations that are incorporated in California, or that have their principal executive offices here, to have at least one female director on their board by December 31, 2019. No later than December 31, 2021, such corporations must have at least one female director if their number of directors is four or fewer, at least two female directors if their number of directors is five, and at least three female directors if their number of directors is six or more. The failure to timely file board member information with the California Secretary of State pursuant to regulations to be adopted by such agency will result in a fine of $100,000. In addition, a first violation in failing to meet the quotas will result in a fine of $100,000; each violation thereafter will result in a fine of $300,000. This law is likely to face legal challenges, including constitutional claims that it violates the internal affairs doctrine arising from the U.S. Commerce Clause as well as the equal protection clauses in the U.S. and California constitutions. In a signing message, Governor Brown noted that there have been “numerous objections to this bill and serious legal concerns that have been raised” and indicated that he didn’t “minimize the potential flaws that indeed may prove fatal to its ultimate implementation.” However, he stated that “recent events in Washington, D.C.—and beyond—make it crystal clear that many are not getting the message.” He copied the U.S. Senate Judiciary Committee on his signing message. Hirschfeld Kraemer LLP will continue to follow developments in these areas. If you have questions about the harassment-related bills, contact Dan Handman at dhandman@hkemploymentlaw.com. Questions about the corporate bill should be directed to Bill Ross at wross@hkemploymentlaw.com.